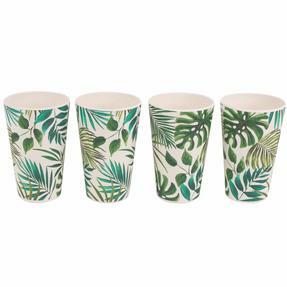 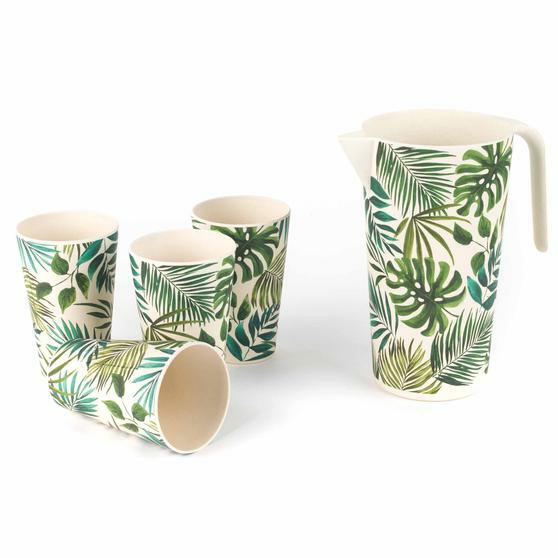 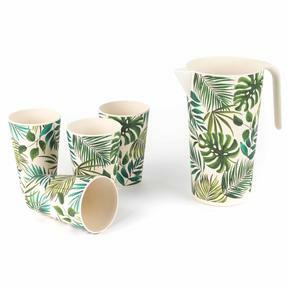 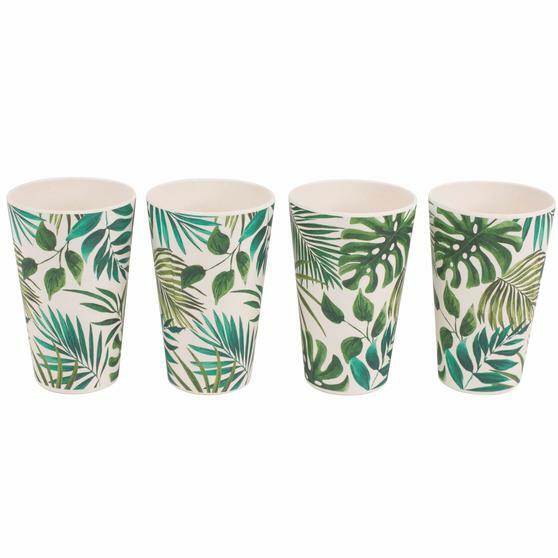 Made from eco-friendly bamboo, this cup, jug and serving tray set from Cambridge is a wonderful alternative to plastic drinkware. 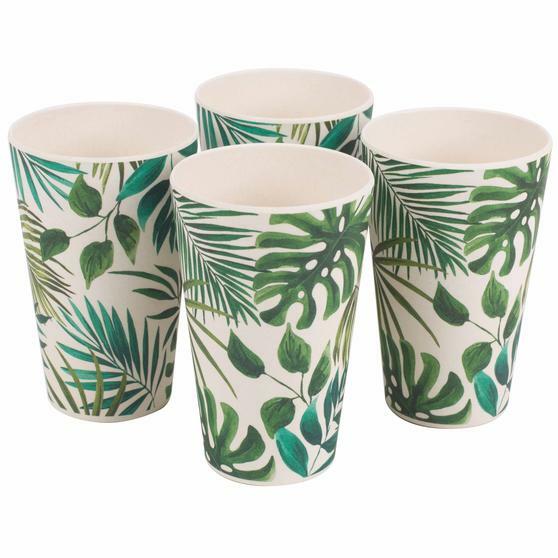 Incredibly durable, the bamboo has an impressive strength to weight ratio, so you can trust it to last. 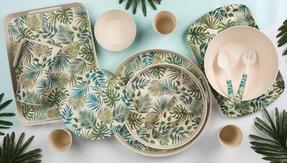 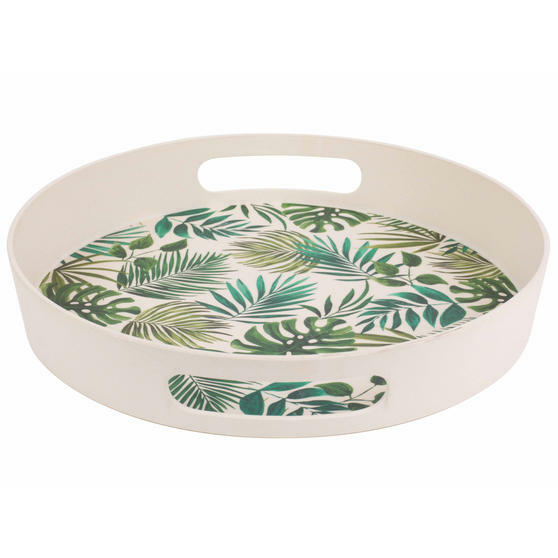 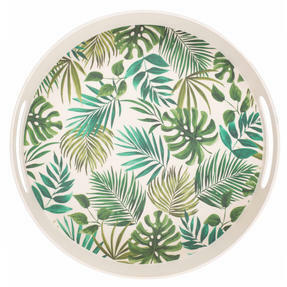 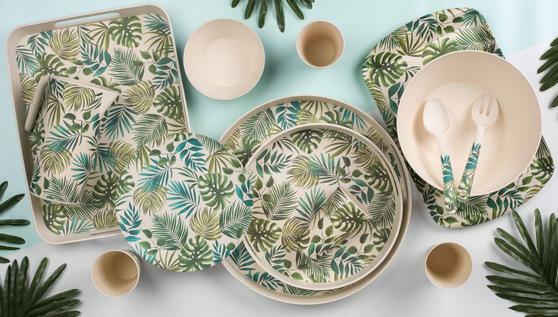 From the Polynesia range, the set has a vibrant design that brings style and colour to your kitchen. 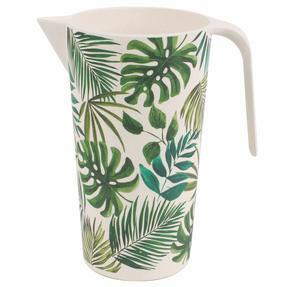 With a 1.5 litre capacity the jug has plenty of space for multiple re-fills, whereas each cup holds up to 400 ml and the tray has two convenient carry handles. 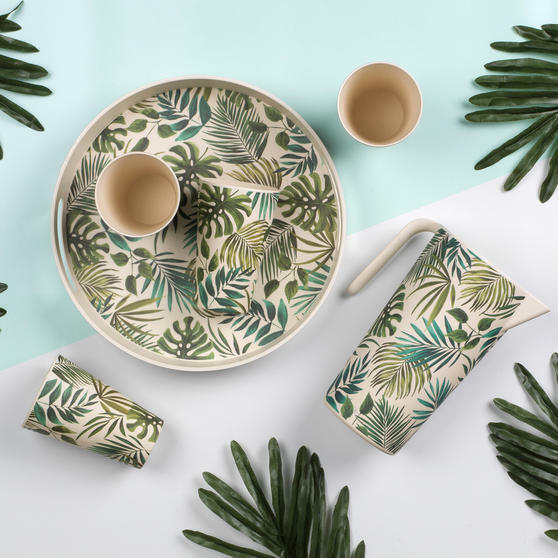 Made from natural bamboo, this wonderful beverage serving set from Cambridge is an eco-friendly alternative to using plastic. 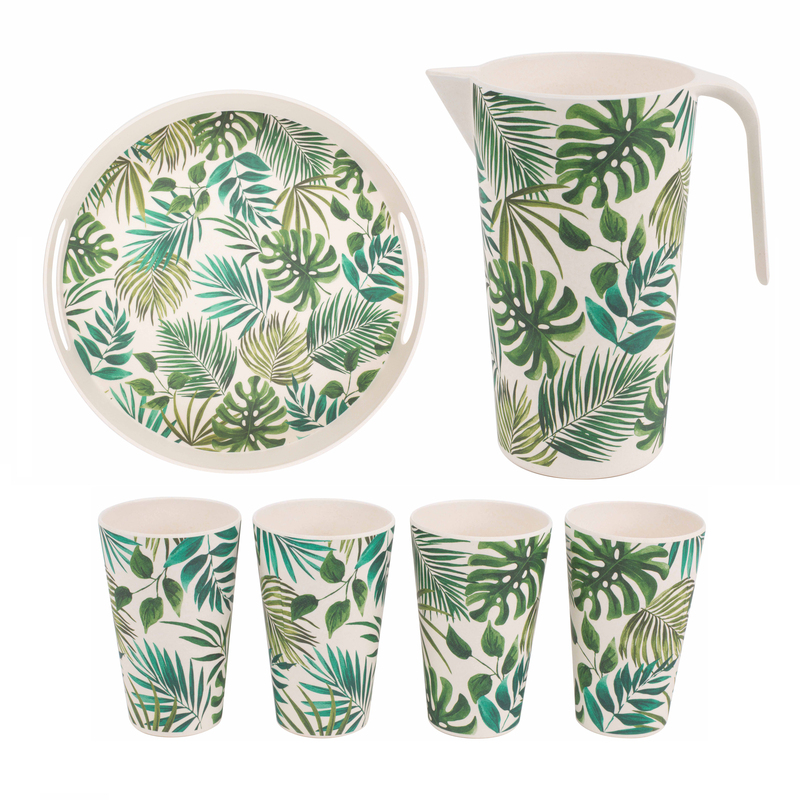 The set comes complete four 400 ml cups, a 1.5 litre jug and a round tray with two carry handles for ease of use and convenience. Designed to bring colour and style as well as practicality to your home, this has a unique design which looks superb.